Talcum-soft sands set the scene for a tropical retreat. As the sky turns crimson, birds sing overhead, and the scent of grilling fish entices you to dinner. 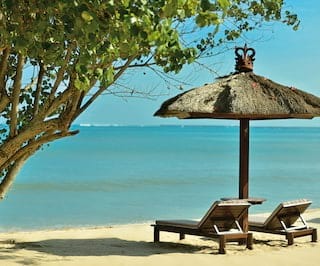 Belmond Jimbaran Puri boasts a reputation as one of the most serene Bali hotels. 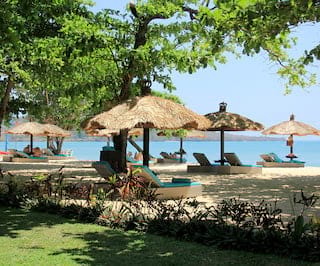 Enjoy a massage by the sea, then let the calm waters tempt you in. Stretch out in your garden and inhale the heady aroma of frangipani flowers. Every moment here promises endless memories to cherish. 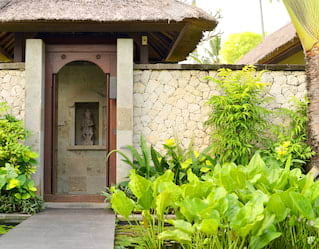 Staying with us turns a trip to Bali into an unforgettably unique escape. Here are just some of the features that make us stand out from the crowd. Our infinity-edged pool is an emerald oasis in the heart of the resort. Terraced into the landscape with blue-green natural stone tiles, fresh water cascades from the fountains. Plunge in for a cooling dip. 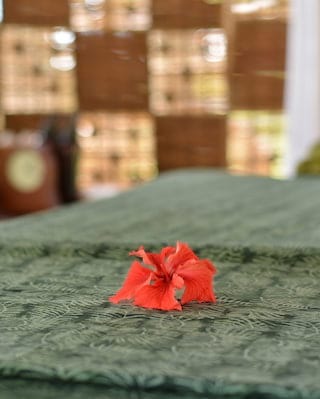 Dry off with a soft towel on your teak lounge chair under canvas shade. 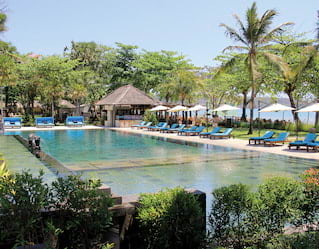 Relax and let attentive poolside staff bring you iced drinks and appetizers from Puri Bar. 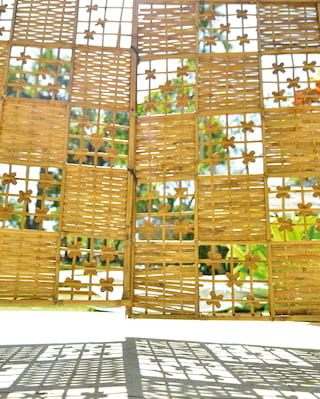 Take home a memento of your Balinese adventure. 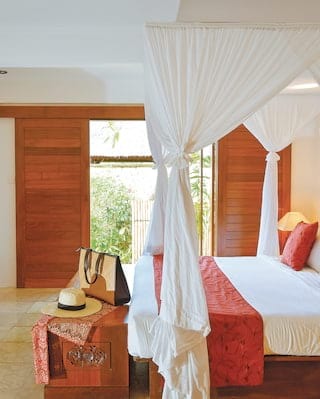 Our Boutique features exquisite items that reflect the island’s artisanal heritage. Delicate scarves in vibrant batik designs. Sculptures based on intricate detailing from Hindu temples. Wooden eggs painted in traditional Balinese style. Jewellery carved from precious jade. 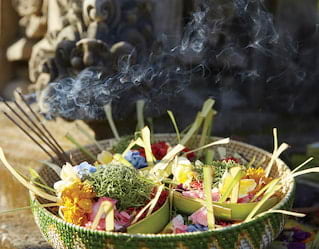 Incense sticks, candles and oils capture the heady scents of Bali. Step into this cool, calm sanctuary for a relaxing read. Browse through books, magazines and newspapers in multiple languages. The library is furnished with plush armchairs, cushions and teak bookshelves. 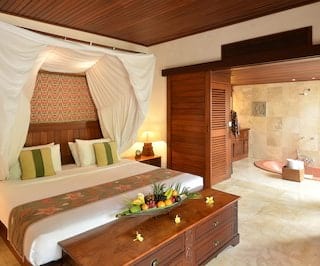 Floor to ceiling windows let the light in and allow views of the lily-pond and the ocean beyond. There is also an iMac computer for guest use. Share the ultimate island escape with your nearest and dearest. Children can make a splash in the dedicated children’s pool, or we’ll be happy to advise on family-friendly excursions. Our restaurants are child friendly, and our chefs can tailor dishes to your little one’s tastes on request. We also offer a range of activities for children. From sandcastle building and egg painting to cooking classes and temple visits, there’s a new adventure available every day.